Keeping with yesterday's retro vibe, today's music industry is popping out husky, Dusty Springfield-ish sounding singers, faster than your favourite brand of popcorn sitting on a high heat. Keeping that temperature rising, is the fact one of the best comes from right here in Aotearoa, Gin Wigmore. 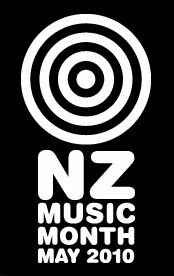 Now as part of NZ Music Month, here's two of the 23 year old singer/songwriters tasty hits you can dig into, as you kickback with your favourite side of reading material and soak in some of the weekends rare 'free' moments. For more Gin goodness, check the ladies website after the jump.